Something none of us deserve but all of us hope for, dream of and secretly pray comes our way. Grace is love in action, but not the way we usually think it is. Grace bypasses the offense to embrace the offender. 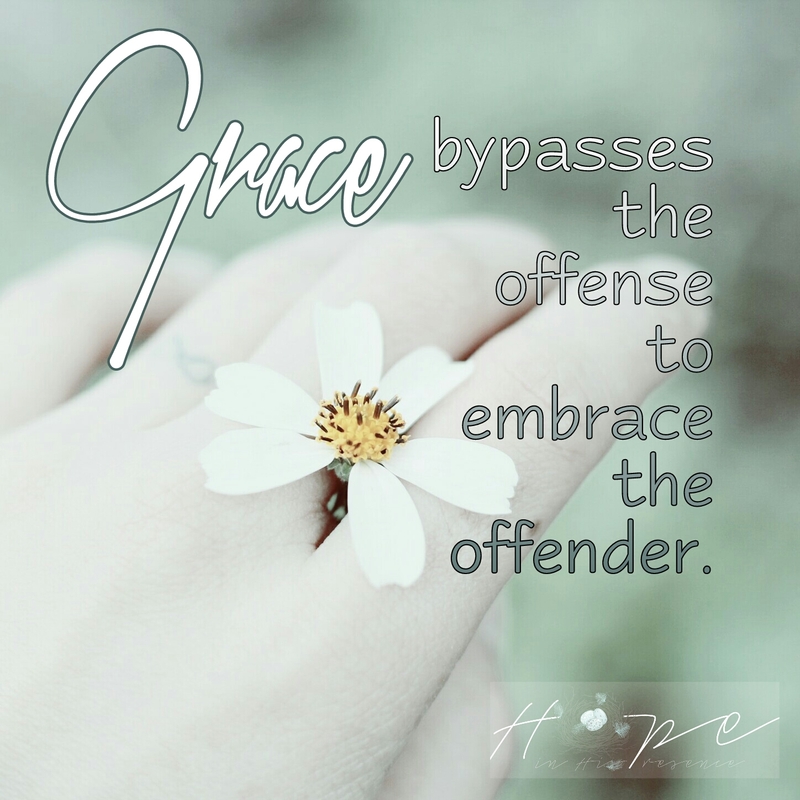 Grace may not initially deal with the offense, because its priority is always the person involved first. That doesn’t mean there isn’t a price to be paid for that offense. Grace means we are loved despite what we have done, for grace is really a glimpse of God’s face. Psalm 147 is a fascinating glimpse of God’s grace towards His Beloved. The very fact we get to approach Him with open access is the first truth about grace for us to celebrate. He chose us when we were unlovely, dirty and seeping in sin. Grace doesn’t leave us there. Grace gathers us up and brings us Home to Him. Just that is wonder enough, being His. He spiritually adopts us, and makes us family. He becomes our home! But God hints that that is not all He is going to do for us, because of His grace, His love in action. Each and every way where love has failed us, God longs to heal. Note, this verse speaks in the active present, and includes us all. Grace is in the business of actively loving us to emotional health, but that isn’t all. Now in the Jewish culture, the historical use and meaning of the word “heart,” “leb” in Hebrew, meant the whole person, for the heart represented their entire life – inner person, mind, will, heart and soul. This takes this verse’s meaning way beyond just our emotions as most of us would usually understand it, to mean in any way we have been wounded, Grace actively pursues our healing. Grace does for us what we are not able to do for ourselves. We are not capable of fixing all that has happened to us or putting to right all the wrongs we have done. But He is. And He does! Grace lifts us to look Him square in the face, and strengthens us with His strength, allowing us to lean on Him for all the support we need. Grace showers us with blessing and favor, when we return His love and accept His ways. There is nothing fancy about Grace operates, for He has made it as plain as the nose on your face. Grace is His love in action, making right what humanity has broken through embracing us, the offenders, and paying the price for our offenses. And because of this grace, because Grace has embraced us so lovingly and thoroughly… we can in turn offer grace to those who offend us. Not because they don’t deserve it, for they like us don’t. But because Grace has already paid the price for it on the cross, just as He did for each of our offenses, we can offer grace to each other. And by doing so, we allow a glimpse of Grace to be seen on our faces. The Good news is Grace is available for all. All the times. Always. Our choice becomes whether we will hold Grace at arm’s length, or allow Him to reshape us until grace becomes a part of us, and an extension of love to the hurting ones about us in desperate need to meet Grace. Grace awaits, Beloved. And longs to look fully into your face today. Thank you, Jesus, for grace. Have a blessed week!